Rachael Brown became an investigative journalist after deciding to create a true crime podcast about the murder of Maria James. In 2014 a reporter for The Guardian Australia, Paul Farrell, said that “Serial could never happen in Australia”. ABC foreign correspondent and journalist Rachael Brown begged to differ. She took the idea of Serial – a popular true crime podcast based on the murder investigation of a teenager in Baltimore, Maryland – and put an Australian twist to her own podcast Trace, one that gave hope to one family finding closure. Brown knew that the Australian police wouldn’t allow her to interfere in active investigations so she made a choice to find a cold case. She devoted 16 months of her own time investigating the murder of Maria James committed in 1980. Brown chose this case after seeing Maria’s son Adam James confessing that he had been sexually abused by the main suspect Father Bongiorno, who was ruled out in 2015. This triggered Brown and her colleagues to look in to the case thoroughly. She wanted to get to the bottom of this unsolved mystery and give a voice to the victims of crime, including Maria’s son Adam. “This is such an important case because this is not just a crime. It illuminated wider issues in society that need to be addressed,” Brown told ­upstart. Brown comes from a radio background and a podcast seemed the right medium for Maria’s story. “Radio is a beautiful, intimate medium and you can draw things out of people that you can’t sometimes with the camera stuck up in their grill,” she said. It was important for the investigation to find new witnesses. This seemed impossible after 38 years, but Brown was determined. She wanted to spread the word by telling the story through all possible channels. Brown went to the commercial media and radio stations to talk about the James’ boys and Maria. “It’s the first time I’ve seen those traditional battle lines of media, ABC and commercial media, kind of disintegrated. It wasn’t about who was breaking the story and who was doing the story, I just felt that people were getting on board because they cared about it, and they cared so much for these boys that had gone their entire life without knowing who killed their mum,” Brown said. The outcome was amazing. Emails were coming in and people started to remember something about the incident. Each episode worked as a breaking story and had a supporting article written by Brown. It was another technique that she used to get attention from the older generation, potentially the generation of Maria, who might not be too podcast savvy. “We’re moving into a digital future, but you need to give people multiple doors into stories. You can’t just assume they have one access to their news,” Brown said. The podcast was never intended as entertainment. It was an investigation and Brown admitted she got too attached to it. She also had to think hard about the ethics and value of bringing old trauma into the present for those involved. 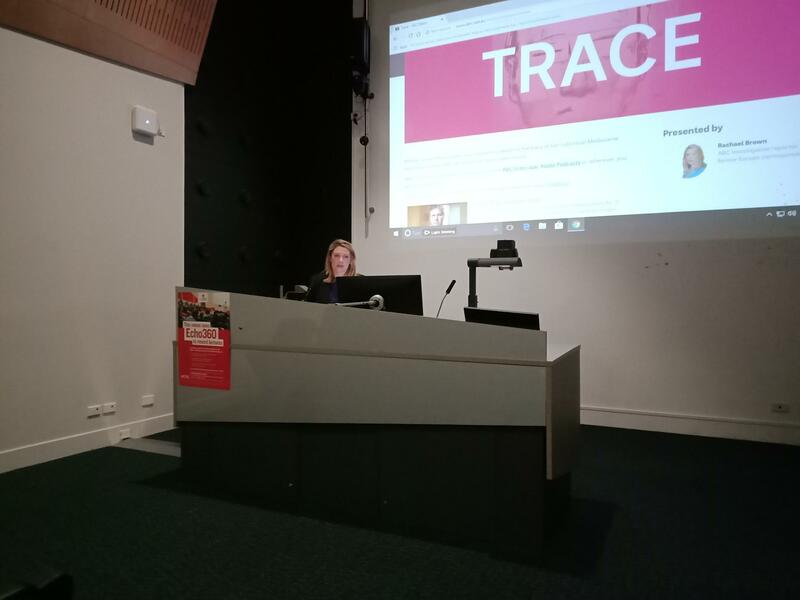 “In journalism in general, not just for Trace, you have to think, what’s in it for them? Are they going to be compromising their safety? Is this going to be cathartic for them? Are you going to be damaging them in any way?” she said. Over the last two years working on this case, Brown found new witnesses, collected fresh evidence, and convinced a coroner to re-open the case. She also persuaded the police to look into the case again and admits she couldn’t have created the podcast without this help. “Don’t assume you know it all. Lean on people. Ask for help,” she said. Brown received a lot of emails from people all over Australia asking her to look into other cold cases. She encourages her colleagues and future journalists to investigate and help families find closure. Yulia Fokina is a second year Bachelor of Media and Communications (Journalism) student at La Trobe. You can follow her on Twitter @Yulia__Fokina.